Lenovo has announced a recall for some of its 5th-generation ThinkPad X1 Carbon laptops. If you own a ThinkPad X1 Carbon that was manufactured between December 2016 and October 2017, there’s a chance it’s included in the recall, which was issued over potential overheating and fire concerns. All told, approximate 78,000 units could be affected, plus 5,500 more that were sold in Canada. Lenovo says “a limited number of such laptops may have an unfastened screw that could damage the laptop’s battery causing overheating, potentially posing a fire hazard.” So far, the company hasn’t received any reports of overheating in the US, but says it’s gotten three global reports about overheating that led to damage of the laptop. No damage to other property or users themselves has been reported, according to the company. Lenovo also claims devices manufactured after November 2017 aren’t at risk of having the loose screw. There’s a website where ThinkPad X1 Carbon owners can go to enter their serial number and machine type and see whether their device is affected. Lenovo is urging anyone with an at-risk machine to stop using it immediately until it can be inspected for the loose screw. Any repairs related to the recall will be provided free-of-charge, as they should be. 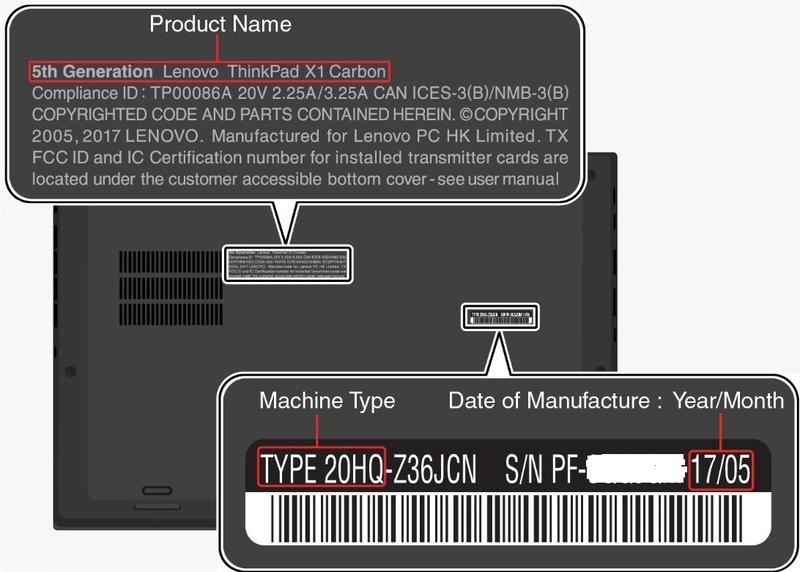 Not every X1 Carbon that was built in the specified timeframe is automatically part of the recall; Lenovo says systems that remained in factory inventory when the issue was discovered were screened for the unfastened screw before shipping. The company has known about the problem for “several weeks,” time that it claims was spent investigating the cause and then alerting the U.S. Consumer Product Safety Commission (CPSC). “Once the CPSC becomes involved, we are obligated to follow their guidelines and recommendations,” Lenovo says. This is an unfortunate black eye for the ThinkPad X1 Carbon, which has been a well-regarded Windows 10 laptop. Vlad described it as a “pure, distilled laptop” in The Verge review. But it’s always good to see a company responding quickly to troubling reports and working to ensure the safety of other customers. So long as your ThinkPad X1 Carbon doesn’t have a loose screw somewhere inside, you’ve still got a terrific product.